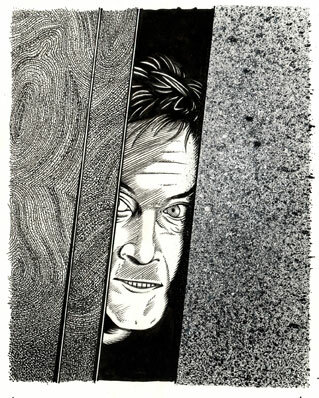 No, not Nicholson, but rather Robert Patrick (X-Files) from the Kevin Williamson horror flick, The Faculty. Drawn for the New York Press. Ink on illustration board, measuring 6" x 7".